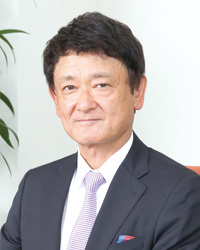 The Japan Ship Technology Research Association (JSTRA) was established in April 2005, as an incorporated foundation consolidating with three organizations: the Shipbuilding Research Association of Japan, the Japan Marine Standards Association, and the Japanese Association of the Ship Scrapping Promotion. JSTRA became a general incorporated foundation on April 1, 2012, and remains so to this day. Over that time, we gratefully acknowledge the guidance of the Ministry of Land, Infrastructure, Transport and Tourism and the support of The Nippon Foundation and other maritime organizations. We give our warm thanks to them, and to all of our supporting members and maritime professionals for their understanding and cooperation. Despite fierce international competition, Japan’s maritime industry continues to lead the world . Through the great and continuous efforts of management, and has played an extremely great role as a leading force in the innovation of modes of marine transport, ensuring marine safety, and conserving the marine environment. These accomplishments are due to cooperation to the maritime industries such as a, shippers, shipbuilders, manufacturers of ship-related equipment and machinery, and various other members of the Japanese maritime industry. The key word of this association is regulations, standards and Research & Development (R&D). We regard regulations, standards and R&D activities as our trinity, whereby we provide an integrated maritime cluster (platform) where members from the worlds of industry (the shipping, shipbuilding and ship machinery industries), government (inspection organizations and other government agencies) and academia (universities, research institutes and academic societies) come together as one; and drive powerful initiatives to achieve the realization of Japanese proposals regarding new regulations and standards, and R&D activities to enhance international competitiveness. We also provide consulting programs that cater to the needs of the manufacturing workplace, for purposes such as improving efficiency, saving labor and improving manufacturing quality. JSTRA widely distributes and provides information and results gained through its activities by holding seminars and conferences to announce. Those results are posting on our website, and distributing them via e-mail newsletters and other media. In this way, we are trying to provide a wide range of information and services to the new needs of our members, and other stakeholders in the maritime industry. Through these activities, the association is committed to work together further development of the maritime industry in Japan .We appreciated your continued understanding and support. Thank you.